Not sure if you need new windows? A total replacement of all your windows can be a big investment, so it’s sensible to wait until you need them. However, short of a smashed window, it can be difficult to tell when your windows are on their last legs, although there are a few telling clues that indicate when it’s time. Of course, a smashed window is the clearest sign it’s time to call Abbey Glass and get fresh glass for your frames. However, windows can also be damaged by extreme weather or old age, causing them to warp and allow drafts in. Whilst repairs are possible, it can often be cheaper in the long term to fully replace your windows – talk to our team for the best option for you. If your windows are sticking, shut by themselves, or are fogging up between the glass panels, these are all signs that your windows are not performing as well as they should be. Fog or condensation between the window panes means your double glazing is not working any longer, as the gap should act as a vacuum allowing no air in at any time. In this case, your home will be losing heat far quicker, so replacement windows are the best solution. If you haven’t got double glazing installed, or had it installed many years ago, your energy bills may have increased. 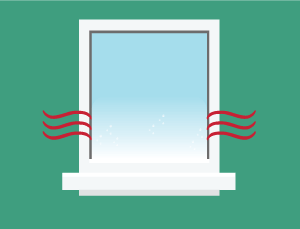 Drafty or old windows can raise your energy bills by up to 10 – 25%, causing a noticeable increase in energy and heating bills, particularly in the winter. 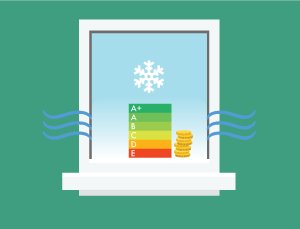 Energy-efficient double glazing will decrease your spending on heating and cooling throughout the year, and can add massive selling value to your home. Worn frames will instantly make your home look less appealing, but they can also mean your window panes are less secure and therefore less effective. If your frames can’t be repaired with a wipe down and some paint, replacing them altogether could save you from drafty, damaged windows a little later down the line. Whether you simply want to update your home, or you’re looking to make a few improvements to add to the value of your home when it comes to selling it, the state of your windows are a great place to start. If your windows look old, your house will too, so updating them will instantly give the aesthetic appeal of your house a huge lift – inside and out. A fresh lick of paint and some new curtains or blinds can make a big difference, but if the windows themselves are ineffective and dated, replacements can be the best solution for instantly adding value to your home. Brand new windows are a big investment, so you may be wondering whether the lower cost of repairs is more suitable to you. However, repairs may only prolong the lifespan of old windows another year or so, costing you more in the long-term. Rotted sashes can be removed and replaced, with windows simply repaired before they rot as well. However, if water has penetrated between the two panes of glass, you may need to replace the entire window. Drafty windows can be repaired for new caulk and adding screen windows for increased insulation. Painted-shut windows can be repaired by simply cutting through the paint. Always use a professional to prevent further damage to the windows or frames. For replacements or repairs, Abbey Glass can help you. Our team provide quality double glazing for any circumstance, whether you simply want an update in windows, or need a damaged pane replacing. We’ll also provide honest, reliable information on the best solution for your windows, whether that’s a simple repair, or replacing the entire window. For a free quotation, you can simply call us today and we’ll be happy to find the right solution for your needs.